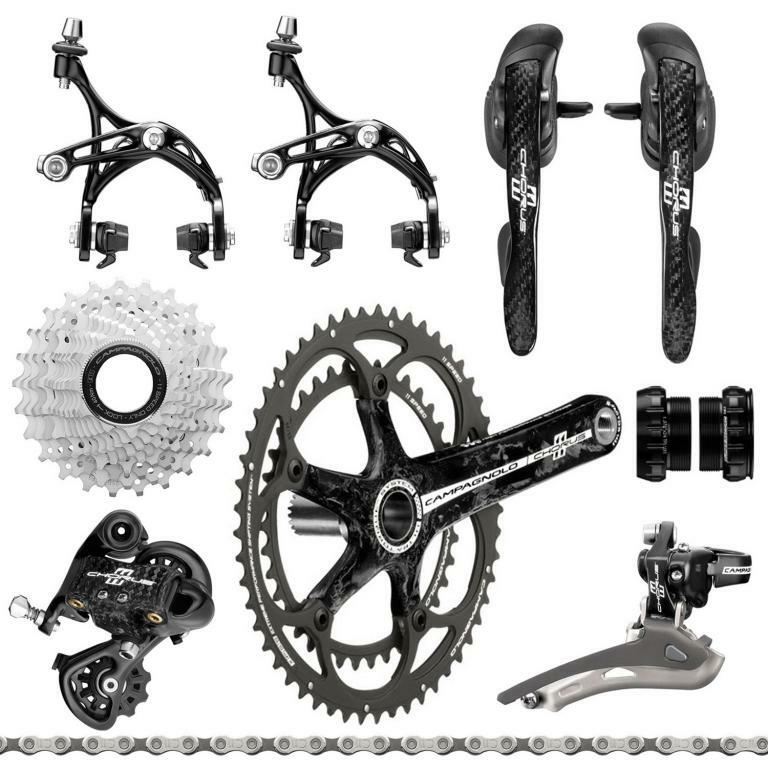 There's no shortage of things to spend money on in the cycling world. Being that most of us don't have an unlimited source of cash, we have to prioritize. 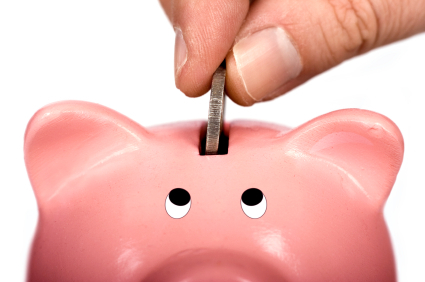 In part 1, I listed 5 ways to spend your money that I believe are good investments. In part 2, I will talk about the other side: how to save your money and avoid spending it on things that won't help you very much. Don't get me wrong. I think carbon fiber is great. For example, a carbon fork can do a lot to increase shock absorption, improve comfort and decrease the weight of your bike. I'm not sure how anyone ever rode a bike without a carbon fork before. And a good carbon fiber bike undoubtedly has a better ride quality than it's aluminum equivalent. As far as weight goes, although many of those weight differences may seem small by themselves, they do add up, especially when we're talking about rotating weight, as in the case of wheels. But although carbon is generally lighter than aluminum and it's easier to shape it into unusual shapes, it doesn't always have the ideal properties for every application. For example, the braking surface on carbon wheels will never be as good as the breaking surface on aluminum wheels, especially in the rain or other bad conditions (though better carbon specific brake pads have certainly helped). Carbon is also more prone to catastopic failures under impact. Many a bike racer has made the switch back to aluminum after breaking their carbon fiber bars, frame or seatpost. Campagnolo Chorus 11 Speed gruppo. A lot less expensive than Record and only a tiny bit heavier. It's also important to ask the question "Where does the weight savings come from?" Sometimes companies obtain weight savings at the expense of durability. For example, top tier Shimano and Campagnolo cassettes utilize titanium for the bottom gears, which is far less durable than hardened steel. You pay for that weight savings not only with money, but with durability. 3. Don't spend a lot of money on bike equipment your child will grow out of: As the coach of a junior team, I see this one all the time. It's hard to say no to your children, especially when they are racing against kids with $15,000 bikes. (Note: I was astonished to see that roughly 80% of the girls in the Girls 13-14 National Championship road race in Wisconsin last year were riding full carbon bikes and deep dish carbon wheels!) My advice is this: save the really nice stuff for when they are fully grown. In addition to the fact that they won't grow out of the stuff, you will also teach them the value of hard work and persistence. Meanwhile, join a junior developmental team and spend your money on coaching and travel so your children have the opportunity to compete at a national (and possibly international) level. This will do a lot more in then long run to teach good sportsmanship, the fundamentals of the sport and let them decide if cycling is something they want to continue to pursue at a high level after they turn 18. Being part of a junior team may also provide helpful resources, not the least of which is a community of other families that can loan, give or sell you their kids' old bike when she grows out of it. 4. 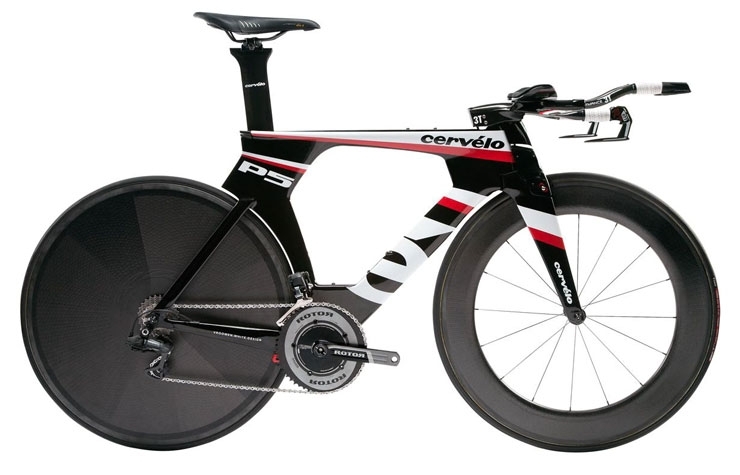 Save money on aero equipment: Before you go and buy that Specialized Shiv, Cervelo P5 or Felt IA FRD TT Superbike, you should ask yourself a few questions: 1) How many time trials am I really going to do? 2) Am I willing to take the time to train on this bike? and 3) Have I already picked all the "low-hanging aero fruit?". If you are only doing a couple time trials every year, you might be better off either borrowing a TT bike from a friend, fitting your road bike with TT bars or building up a less expensive TT bike using a spare frame and parts you have lying around the basement. First of all, more and more races have "Merckx-style" (road bike only) time trials, and some time trials are too technical for a full TT bike to be much of an advantage snyway. Even if TT bikes are allowed, you have to be able to produce power and handle the bike on the course. Doing well at time trials is more than just an investment in equipment; it's also a time investment. Time trialing is a completely different cycling discipline. The bike is different, the position is different and the type of effort is different. If you want to be good at it, you have to spend the time getting properly fit, making the necessary adjustments, training for long steady state efforts, and getting used to how the bike handles. That means taking time away from your other training. Don't expect to duplicate these results yourself because a) everyone is different (different body types, proportions, starting positions, initial TT speed, etc.) 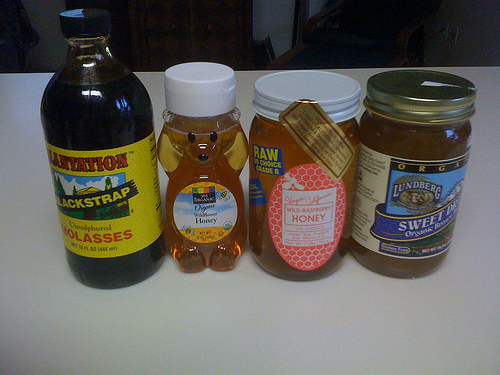 b) All products are different (i.e. Not all aero bars, skinsuits, helmets, frames, etc. are equal) and c) Conditions (wind, course) vary greatly. That said, it gives you a pretty clear idea of where you get the best "bang for your buck". The one thing that I would note is that a good bike fit (even without the wind tunnel) can make a huge improvement not only in aerodynamics but also comfort, power output and efficiency. How much improvement exactly depends on too many variables to make any kind of good estimate, so let's just say it has the potential to be a lot. Keep in mind that your body will always be the main source of drag when riding, so improvements to your position can potentially dwarf all other improvements. Assuming that you already have a well-fitting skinsuit/speed-suit, an aero helmet, a wheelset that is reasonably aerodynamic and a set of shoe covers, the next step would be the bike itself. Unfortunately, putting a set of aero bars on your road bike isn't just a matter of "plug and play". Doing so would make most riders too stretched out and upright on the TT bars. To get the position right, you will probably have to move your saddle forward, get a shorter stem and "slam" it down, which in essence rotates your body forward around the bottom bracket. Since training in your aero position is very important if you want to minimize power loss, this process can mean a lot of changes every time you want to go ride and an increased risk that you might accidentally mess something up about your road position. One way to simplify this process would be to keep a set of aero bars with bar end shifters, brakes and a shorter stem (perhaps one with more drop as well) all cabled up. Then put a TT specific saddle on a seatpost with less setback. When it comes time to train in the position, just mark your saddle height on the road seatpost and slide it out, undo the brake & derailleur cables and slide off the stem (bars, cables and all). Pop in the TT seatpost and TT bar module and re-cable. It's certainly not as convenient as a separate TT bike that is dialed up and ready to go whenever you need it, but it's a lot less expensive, you don't have to worry as much about messing up your position and aerodynamically you're 97% of the way towards a full-TT setup (perhaps more if you use a reasonably aerodynamic road frame). 5. Make your own nutrition: In a typical year, I might drink 500 bottles of energy drink and eat 200 packs of energy chews, 120 energy bars and 120 gels and 200 recovery drinks. That adds up to almost $2000 in nutritional products. Now, I love the convenience of pre-made/pre-packaged nutritional products, but making your own products can be a lot less expensive and better tasting. On top of that, you know every ingredient that goes into the foods you eat and you can control for special dietary needs (e.g. gluten intolerance, lactose intolerance) and personal preferences. The Feed Zone Cookbook provides some great recipes for energy bar alternatives, and a simple internet search will reveal some excellent recipes for homemade energy drink, gels and even energy chews. The big one, though, is recovery drinks. Instead of buying a pre-made recovery drink powder that can cost $3/serving, buy some chocolate milk or make your own fruit smoothie. It's better tasting and less expensive, and since it is a post-workout drink, the packaging issue shouldn't be a big concern. I want to be very clear here, there aren't many things I would classify as "a total waste of money" (though there are a few). Carbon fiber is an amazing material and I am very excited every year to see the new ways it is being used in the industry to make lighter, more aero, stiffer, stronger, more comfortable, safer products. I also think that there is a case to be made for getting a TT Superbike if you're a triathlete, TT specialist or you are gunning for the GC in stage races. And as far as nutrition goes, I like the idea of making more of my own food, but in reality you won't see me giving up my Gu Brew anytime soon. It's all about priorities, and we're all different in the way we prioritize the things we want in our bikes as well as our time and money. Until we have unlimited income though, we all have to make choices and sacrifices. My hope is that this can give you some information as to how to make those choices smartly in the future. As always though, feel free to send in questions as well as any tips you may have.